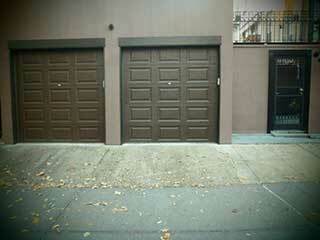 Home Blog How Long Can Garage Doors Really Last? Any big investment is a big decision, and buying a new garage door certainly falls into that category. A lot of time and effort usually goes into it. Considering the different options, deciding which model and what features are the ones best suited for you. The last you want is to be done with this process and have the door installed and working, only for it to break down beyond repair after a couple of years. The longevity of your garage door can be increased or reduced depending on a variety of factors, but the average lifespan is longer than what most people think. The lifespan of your door will inevitably depend on how much it is being used on a regular basis. Obviously, the more you use it, the more wear and tear will it go through, which will lead to more frequent malfunctions. Even if only a small component breaks down, there are a lot of other parts of your system that are influenced by this problem. Other factors that may impact the longevity of your door are the climate and weather in your area as, well as the quality of its different materials. A lot of rain, snow, hard wind and salty air are all contributing factors to the deterioration of your door. The quality of its material will determine how well, if at all, your door will be able to resist these natural menaces. Wood and steel are each capable of withstanding different effects while being more vulnerable to other ones, but they both can suffer from something. Any rotting or rusting of the panels is bound to reduce your door's ability to function and last. A general warranty usually lasts about three years, but this does not represent how long your door will actually last. Most homeowners will get a good fifteen to thirty years of use out or their door. This estimation is based on proper and regular garage door maintenance. In fact, by making sure your door is properly cared for, you may even surpass this average life expectancy. Just like any other complex system, it usually comes down to how well you take care of it. If you're looking for a professional service provider who can help you with any type of maintenance task, then our experts at Garage Door Repair Conroe are the ones to call. Contact us today for more information.